Steps: Learn the Word - Verse #18 God IS our portion!! Learn the Word - Verse #18 God IS our portion!! 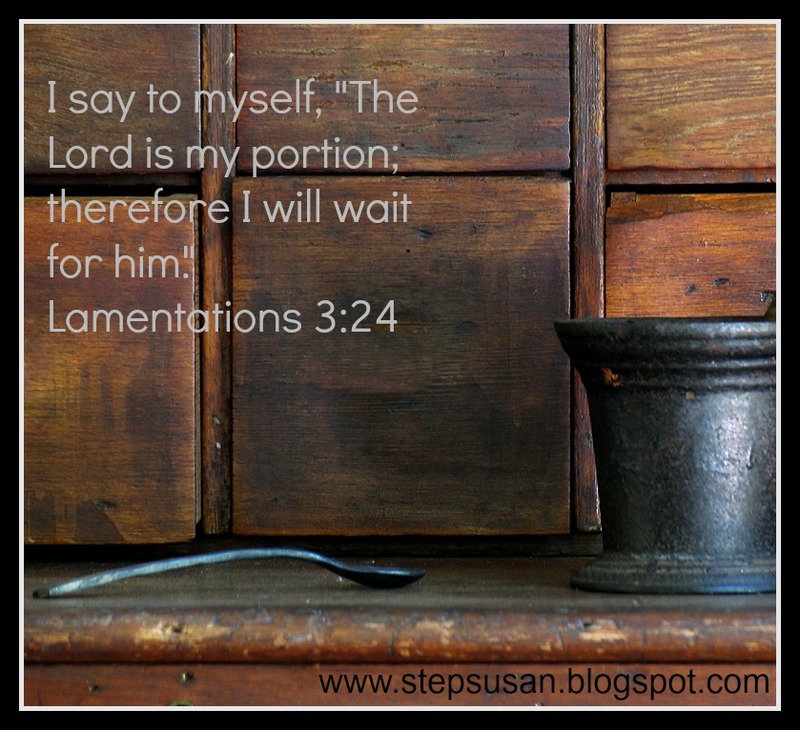 Like I said last week, I hadn't planned on using Lamentations 3:24 for verse #18, but God did:) Here it is and then we'll chat! I love this verse on so many levels. Biblically, it comes right on the heels of the verse that says His mercies are new every morning, then we go into this verse saying He is our portion. Every day He is more than enough. In every situation. God knows we're going to grow hungry. Hungry for that answer. The deliverance. The next step in our journey. 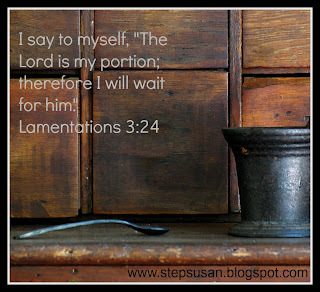 But He also knows only He can satisfy our hunger, and just like sometimes we need to wait for that meal to hit the table, we need to wait on Him--not fill ourselves up on empty spiritual calories. So pin this verse. Add it to your arsenal of sharpened swords. Because the next time you start to hunger for what only God can fill remember--He alone is your portion. Wait on Him and be satisfied!